Each year the Iowa Department of Transportation (DOT) and Local Technical Assistance Program (LTAP) cosponsor an annual County Engineers Research Focus Group (CERFG) meeting in Ames, Iowa. At this event you will hear about research updates and have the opportunity to share ideas, tools and techniques that others may not know about that have improved your operations and saved your department money. 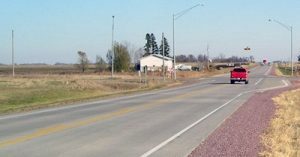 You will also participate in a brainstorming session to identify needed research projects that will be presented to the Iowa Highway Research Board (IHRB) for consideration. Your feedback will help district IHRB representatives better understand your needs to target county investments in research. Research that is better targeted to local issues and needs should provide low cost solutions to issues you are currently experiencing. This event has been rescheduled to March 21, 2019 with registration at 8:30 AM. If you’d like to attend and were not registered for the cancelled date this year, please contact Keith Knapp at kknapp@iastate.edu. Please note: Attendance at this event is limited to county engineers, assistants, technicians, etc.